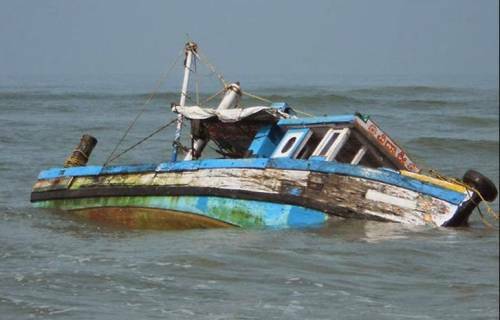 According to SaharaReporters, three persons have been confirmed to have lost their lives along the Benin River in Warri North Local Government Area (LGA) of Delta State on Saturday March 9, 2019 when the boat they were travelling in capsized on their way home, after casting their votes during the governorship and house of assembly elections. SaharaReporters reliably gathered that the boat, which was carrying about 23 passengers, including the driver, capsized around Ebrohimi waterway after colliding with a fishing boat along the Benin River, while heading for Koko on Saturday night. Efforts by sympathisers to rescue all the passengers on board were not successful, as three people died. Meanwhile, Emmanuel Uduaghan, immediate past governor of Delta State and the Delta South senatorial candidate of the All Progressives Congress (APC), has condoled with the families of the deceased. Uduaghan, who hails from the LGA, said he was saddened by the incident, stressing that the deceased persons paid the supreme price for the nation’s democracy. The former governor, however, noted that more casualties would have been recorded but for the quick intervention by various persons to rescue the victims. “Our beloved three brothers died in their quest to ensure that the votes of our people in the riverine area count in the March 9 election. This is to tell Nigerians the risk our people, particularly in Delta South, most often go through during electioneering period to vote for the candidates of their choice. I commiserate with the family of the deceased and the people of Warri North,” he said. He also sympathised with victims still receiving treatment at various hospitals in the locality and wished them speedy recovery.